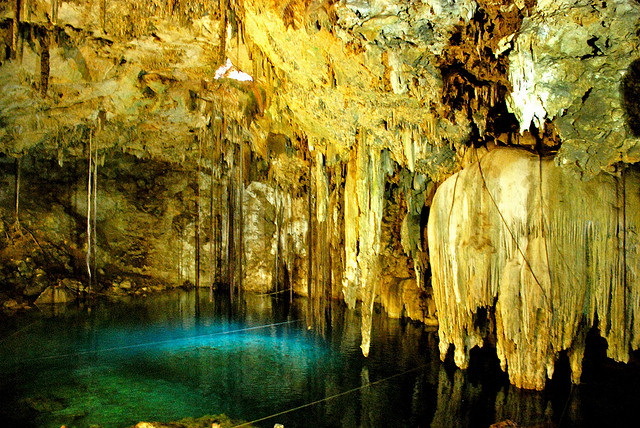 Cenote Dzitnup also known as Cenote Xkeken is located just 10 kilometres south of Valladolid and is a stunningly beautiful cenote to explore! There is little natural light on the surface of the water and this guarantees visitor lots of shade. The place is well lit but because of its popularity, at times it can get a bit crowded. 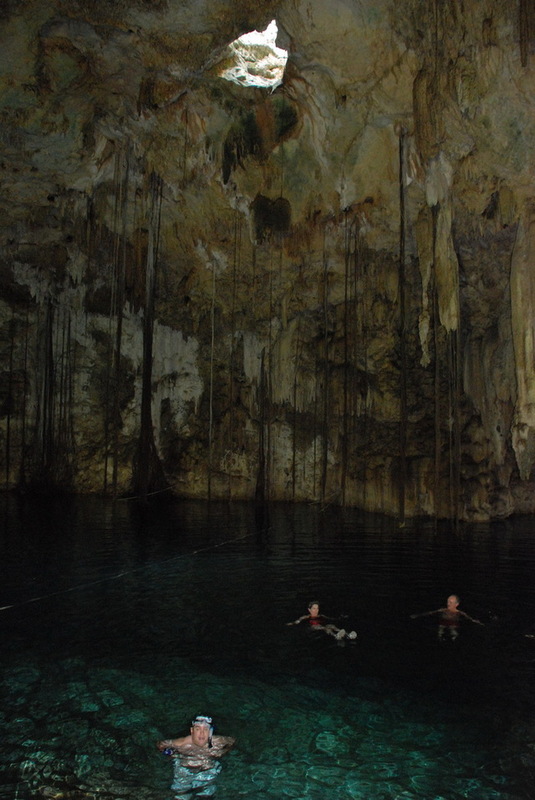 It is possible to snorkel here, but Dzitnup is not the best place to have a dive (for that, choose Cenote Angelita or Ik Kil). However it is ideal for swimming and there is even a lifeguard on duty. 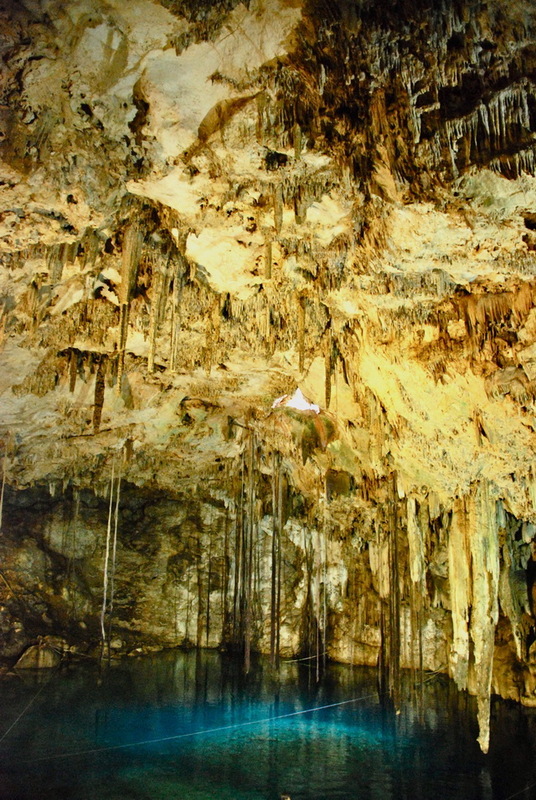 The air in the cavern can get hot and humid but the water is at a constant 25 degrees Celsius. Snacks are available next to the parking lot.